Many say that the Australian timezone doesn't get content. They're wrong! 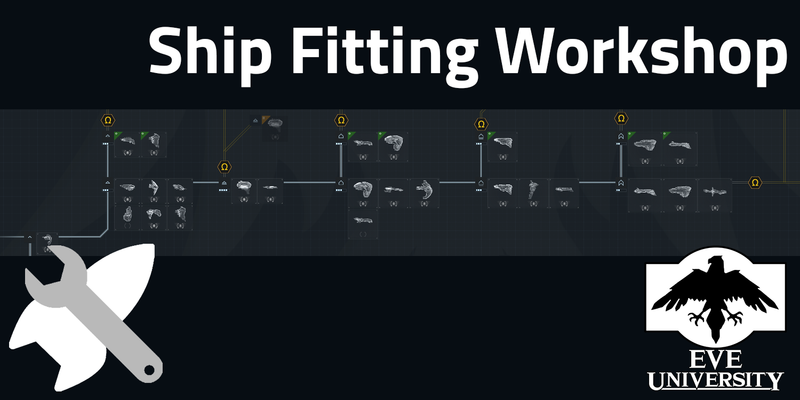 Many also say that ship fitting is a game of its own in EVE. Well, on this, I agree. Fitting is complex, stimulating, nuanced and just so much fun if you're anything like me. And chances are that if you're playing EVE Online, I bet you're at least somewhat like me. Sorry about that. 'straya! South-East Asia! This one is for you! I mean, there might be the occasional oddball EUTZ person that is taking a longer lunch break to play internet spaceships (hint: one of the instructors), but this is intended for you lovely folks! I'm not 100% sure that this is a good time for you all, though, so please tell me if you can't make it, and I'll try to reschedule it to a better timeslot. Another class is going to be announced in more normal time for EUTZ people in the next week, so stay tuned for that. I would love to attend your fitting class but 12:30 EVE time is midnight here in Australia. Is it possible to schedule it a bit early? Hey Ian! Sorry, I wasn't sure about the timings... I'll plan another one in the future for a better time!